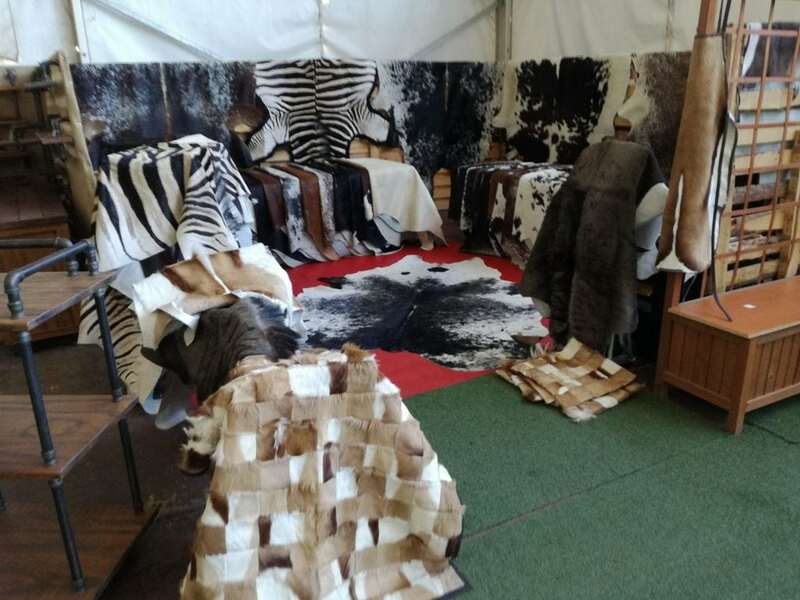 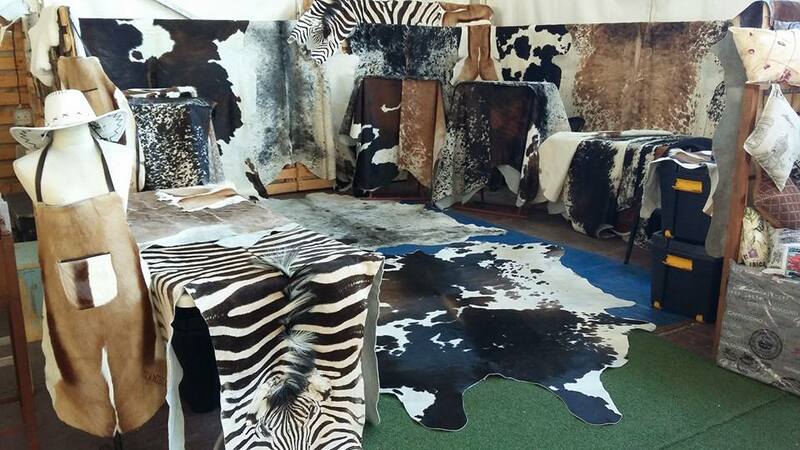 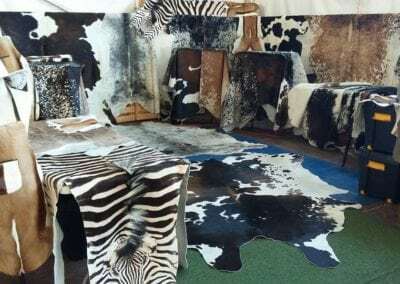 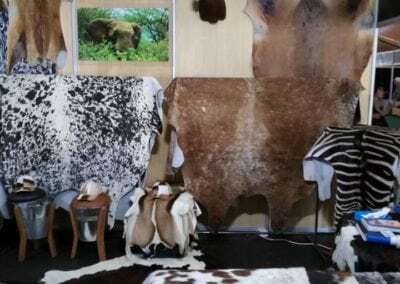 We sell hides of: Wild animals such as Zebra, Bluewildebeest, Kudu, Oryx, Springbuck etc. 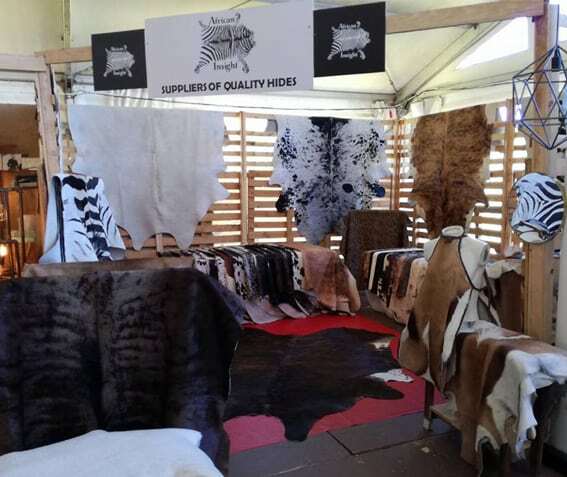 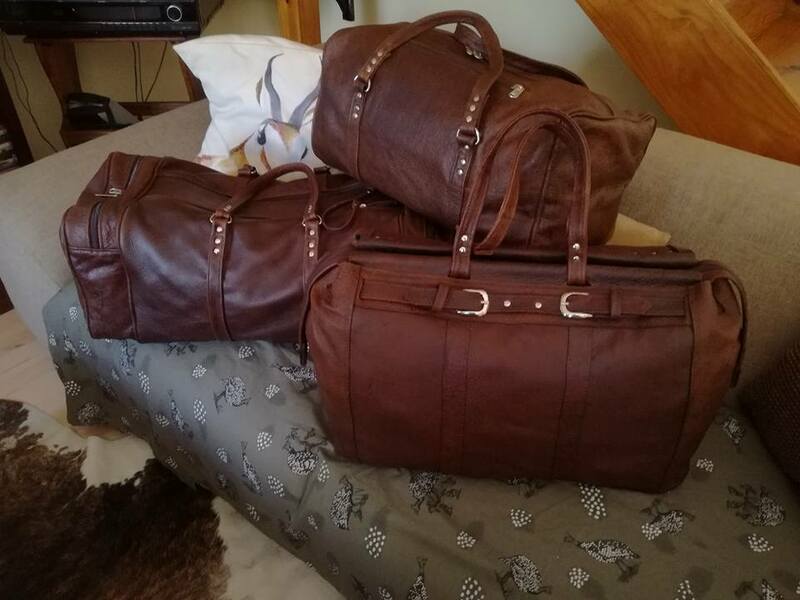 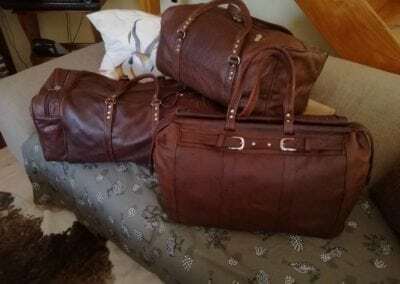 Cow hides, Ostrich leather accessories. 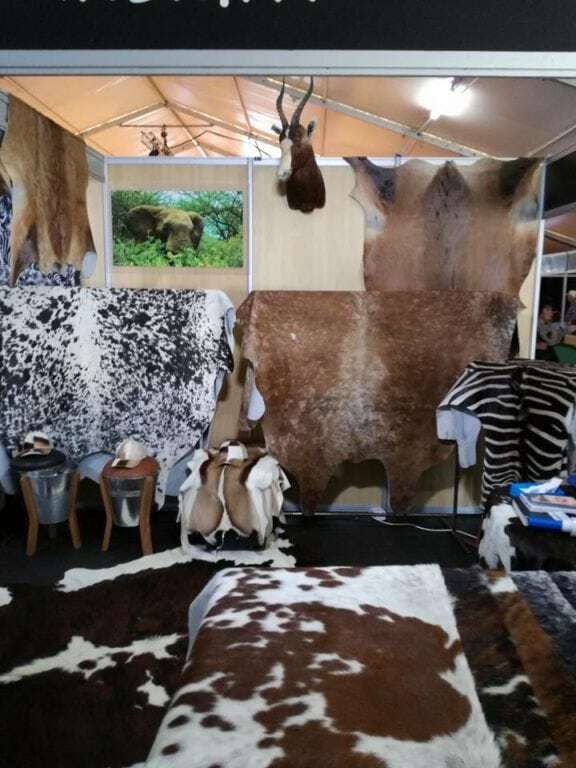 Hats and caps of animal skins and other accessories.